Casper Bach Hegstrup shares the hottest new tracks from Denmark! Danish radio host Casper Bach Hegstrup has updated his Nordic Playlist with brilliant tracks from some of the most exciting new artists to come out of Denmark! 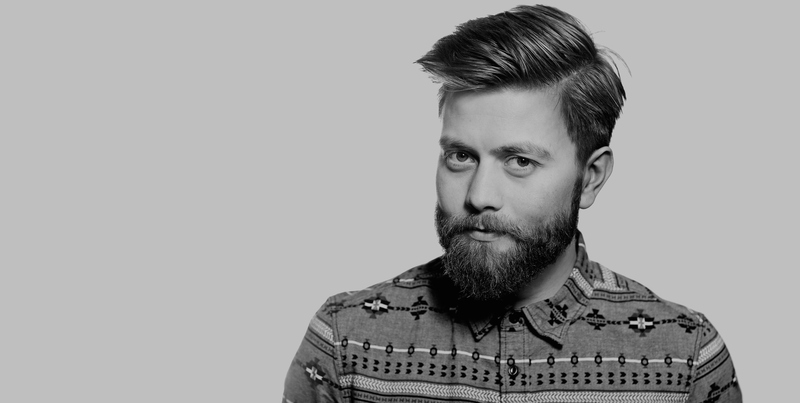 A man with his ear well and truly to the ground in Denmark is without a doubt radio broadcaster Casper Bach Hegstrup, who presents shows on Danish Radio’s P6 Beat station each and every week to give emerging artists the chance to have their music heard across the airwaves. Casper is one of our trusted curators and previously joined us for an interview at Roskilde Festival, as well as being a part of our Nordic Playlist Radio Bar broadcast at Slush Music in Helsinki in November. On a monthly basis he introduces us to fresh new music from Denmark through his very own Nordic Playlist! The playlist has now been updated with the hottest new tracks from some of Denmark’s emerging artists. Click on the speaker just above to tune in to Casper’s recommendations via Spotify, Tidal and Deezer, and make sure to ‘follow’ the playlist to be notified as soon as new songs are added! The band name is short for Marie Louise Buch. She is an excellent songwriter and her loud Sonic Youth-ish guitars are a very nice touch. She keeps it simple, but still with great melodies and a very edgy sound. Fan boy, here. Behind this moniker you’ll find Bo Madsen, who used to be in Mew. He made this song with a bunch of children from his old school where he started Mew over 20 years ago. This is very unique and I’m excited about this project. Right now there’s only this one song – but what a song! Check out the children’s choir at the end. Lowly are signed to Bella Union and are a very talented group from Aarhus, Denmark. What I dig about their sound is their way of [mixing] avant-garde textures into an indie rock approach. Sounds weird? It might be. Dunno. But I love it!